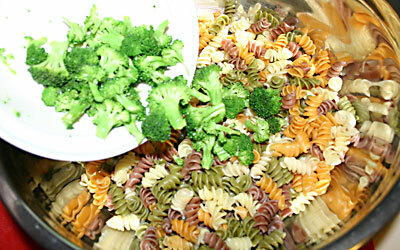 Replace pasta with gluten-free, wheat or any other pasta that you prefer. 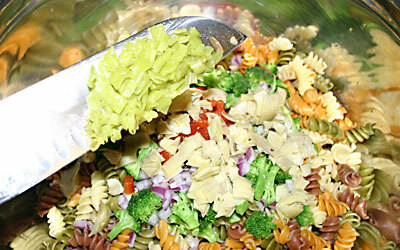 Substitute any fresh vegetable (carrots, celery, mushrooms, cauliflower, etc). 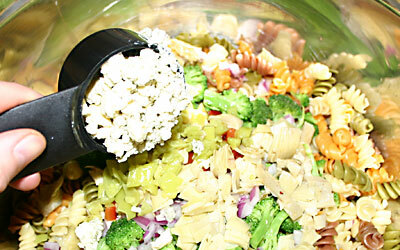 Replace Gorgonzola cheese with feta, mozzarella, etc. Use more/less olive oil depending on taste/health preferences. 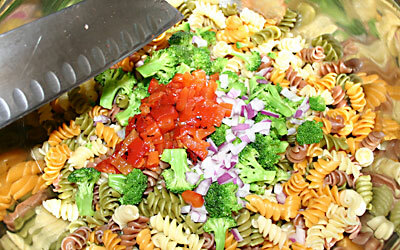 In my meat-eating past, pasta salad ALWAYS featured chicken. It was my go to recipe for leftover chicken whether it was grilled, baked or sauteed. I was skeptical that it would be as filling without the poultry but there is still enough substance in this recipe to satisfy. 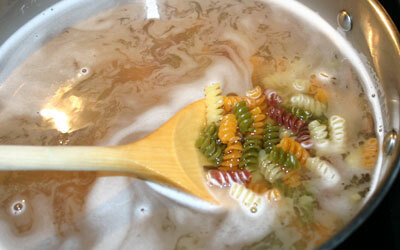 Cook pasta until tender. Drain and chill. 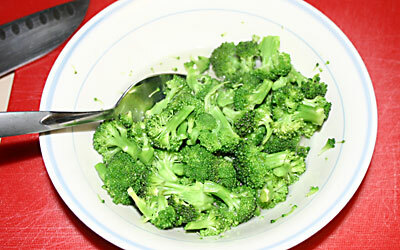 Cut the broccoli into bite-sized florets and put into a microwave-safe bowl. Add 1/2 cup of water and cook for 1 minute. Stir well to coat each piece. Drain and rinse with cold water. 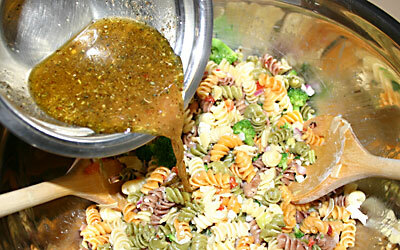 Mix dressing ingredients together in a small bowl and set aside. 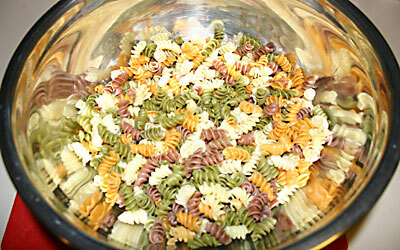 Put chilled pasta into a large mixing bowl. Add diced roasted red pepper. 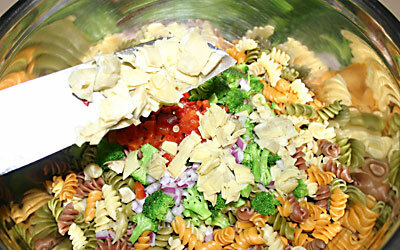 Toss well to mix everything together.